Spicejet reported its third quarter (ending December 31) results for the fiscal year ending March 31 2017 (FY2017). With earnings of Rs 181.1 crores, the results were below expectations. 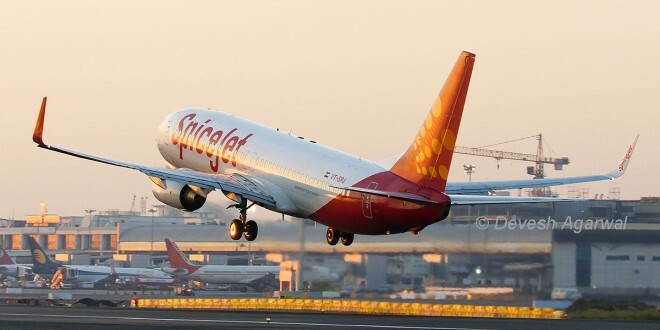 As was the case with its competitors, consistent fare sales and aggressive capacity addition added to the revenue pressure but as SpiceJet usually leads in the fare sales and demand stimulation, the results came as a bit of a surprise. While SpiceJet has usually been able to stimulate demand via fare sales and manage its yields towards a high RASK, this quarter’s performance indicates that the market dynamics may be changing. Additionally, the Gulf market (where SpiceJet as a portion of its international deployment) also saw yield pressures. Combined, this led to a lower revenue. Along with lower revenues the quarter saw rising costs for most line items. Compared to the same quarter last year fuel was up by 29%, maintenance up by 43% and airport charges up by 28%. Most surprisingly employee costs were up by 43% which was both a consequence of a higher head count, and wage and benefit increases as the war for talent heats up, especially in the flight crew segment. (Await our related article on talent wars). Finance costs for the quarter were in the range of Rupees seven to nine crore which seems fairly low (Bangalore Aviation will prepare additional analysis once the annual numbers are released). Ancillary revenue will hold the key for future financial performance and one is likely to see several initiatives by SpiceJet in this regard. Looking further out, as the new capacity comes in (effective 4QFY18 there will also be additional sale and leaseback income). As was the case with other airlines, weather coupled with ATC and airport congestion impacted overall operations. 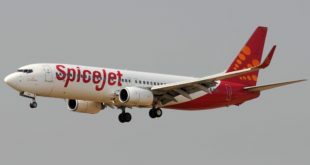 However, SpiceJet due to the shape of its network was able to maintain its network integrity well compared to some of its competitors. Load factors came in at 90.7% (for the combined fleet). Separated by fleet, Bangalore Aviation estimates that the load factors on the 737 fleet are in the range of 86% – 88% while those on the Q400s are much higher. The average utilization of fleet was particularly low at just 9.2 hours. 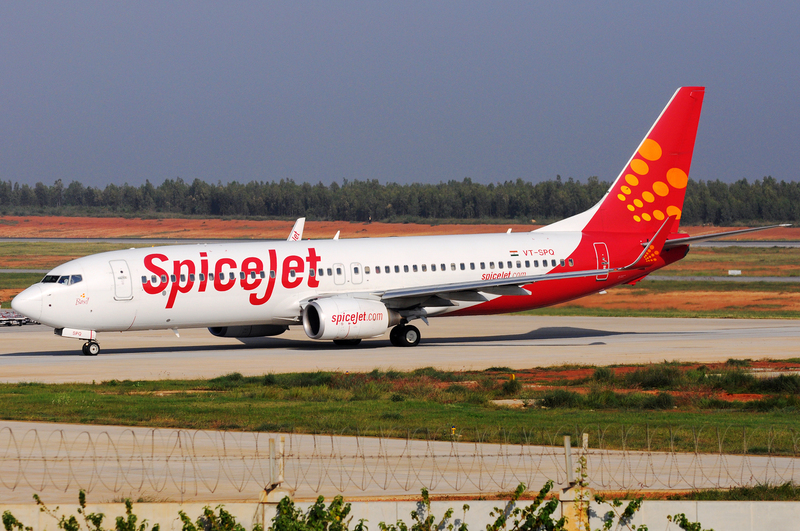 Sources indicate that pilot staffing could be an issue for SpiceJet with several high time pilots on the roster. DGCA mandates that pilots cannot fly more than 1000 hours in a 12 month period thus having pilots who reach this threshold may have operational implications. The quarter also saw SpiceJet report OTP figures in the 80% range which were higher than the competitors. Come January, these figures were used by SpiceJet in an advertisement that ruffled quite a few feathers in the aviation industry (other airlines claim that the method of reporting OTP is non-standard and a DGCA investigation into the matter is ongoing). SpiceJet ended the quarter with 33 Boeings and 17 Q400s. The quarter saw the induction of three Boeing 737s and three Bombardier Q400s. The 737s were replacement capacity while the Q400s went towards additional capacity. For its network Spice continued to stick to its strategy of pure leisure markets and serve metros during non-peak. Additionally, it positioned itself as a clear #2 by capacity in the markets of Chennai, Hyderabad, Kolkata, Kochi, Goa and Pune – which is an interesting play. The Q400s continue to help it tap smaller markets where it can establish monopoly positions. As of December SpiceJet had 40% of its flights on the Q400. Within the Q400 flights the skew is towards the South of India with 63% of Q400 capacity deployed. SpiceJet ended the quarter with 45 destinations including six international. Overall while the quarter was profitable, as was the case with other carriers, the level of earnings was below expectations. For SpiceJet this throws up an interesting conundrum as the airline is often accused of leading fare sales and “yield dilution.” Managing the fare sales will become increasingly tough as the passengers anchor themselves to lower fares. Looking forward all airlines except SpiceJet and Jet will be inducting capacity starting in the next fiscal year (starting April 1, 2017), and SpiceJet will face an uphill battle to retain its market-share. This coupled with rising costs, falling yields, a war for talent and regulatory issues such as the GST, airport charges and the UDAN scheme on the anvil, will make for an extremely challenging year.